The new arrival is non-than my Power wheel chair, one of the expected in this year, but it’s so happy that I got it soon. Its special thing was independent move on my own to rooms, to streets and all places with out any help from my parents. This chair was very comfortable with much facilities to expand and simplify adjustable for short entries; the chair with full foldable frame to carry anywhere. This wheel chair was specially designed for muscular dystrophy patients. 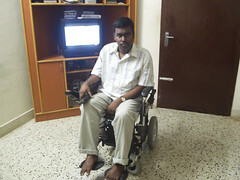 Chair was operated my Multi Direction Joystick (PG controller) with Multi-speed, of 8 to 9kmph and 1.5 hours non-stop run. 2 rear wheels with limited size helps to ride on contours paths with its safe Electronic Circuit Braking. The chair was cost 1450$. 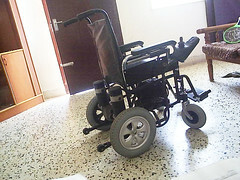 This Callidai Motor is the first company to design the power wheel chairs in India. This kind person Bathbanaban who is also a differently able was very careful about my comforts and make note to satisfied what ever we need. On this company I did a search and found it was by this couple (I don’t know they were the founders of this company when they enquire about my use of Power chair) whom very cares about the differently able and there require. They think from the differently able and come to fulfill their wishes. Chennai Sangamam festival, aptly called Namma Theru Vizha (Our Street Festival) was inaugurated by chief minister M.Karunanidhi in the IIT open stadium on last Tuesday. 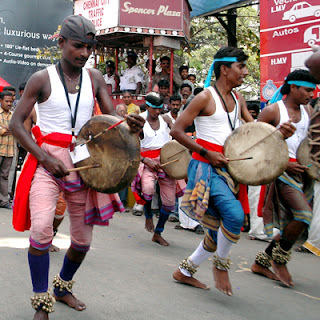 Like the December month musical pageantry and some like Dhurga festivals in kolkatha. Some think that haven’t happens before like how the city is celebrating this Chennai Sangamam which was organized by poet Kanimozhi with Tamil center constitution. We can deem this Chennai Sangamam is like creating a praise and own courtesy for rural artist between people. 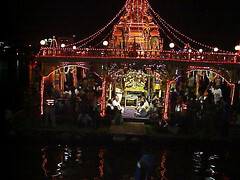 Organizers of this festival have decided to conduct it every year. The funds collected by these programs will be used for good service is a solace news. You can get more details here of this Festival. we hope this would bt the first step towards many more big celebrations of our traditional arts and artists. 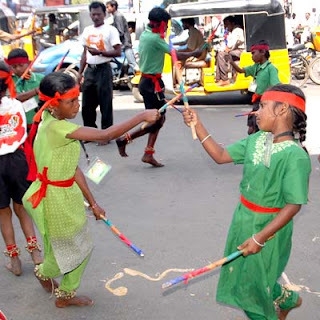 The Tamil enthusiasm would be remit to people and more importantly for our young’s by bringing out arts to streets. Tamil – Kumudham and Youth book (Elainjer malalar) dhina thanthi’s supplement. Last Cigarette: once! That too when I was in 4th, while playing with my neighbor boy in the terrace of my grandpas house, just took the used cigarette and kept in my mouth to do style like others do. Really that time we don’t know how to use it like releasing smoke. Have You Ever Lied: Many times, more for good ones (I try to be away from it as much). Thing You're Wearing: check current cloth..
Thing You Do When You're Bored: I wont get bored, because I keep me always busy, and it also keeps me active. So apart from this I will listen Music, and watching TV. Many!! In that one is Meeting A.P.J. Abdul Kalam and discuss about India’s development and future world. I pass this tag to Thooya, and Ghost Particle! Here comes a lovely lyrics about language. It was written by poet Vairamuthu, for Tamil film Mozhi. It has very simple words, and loveable. My most favorite one is: “If we understand the language of hearts, Humans no need a language” that express the true feeling between humans. It’s more awesome if u could listen to this song in Tamil, here I bring it in global language (English) to share how beautiful these lines are. Humans language is no need. Humans no need a language. Love had no languages when it speaks. God unawares the words talked my eyes. Love speaking languages, will not restive in vow nests. Rainbows speech comes out as colors. Womanhood comes dumbness, modesty becomes language. In the wishes sleeping hearts, motion also becomes language. It’s an emblem of sacrifice or gallantry? 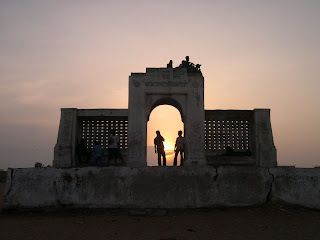 Most of u would have known this emblem, named Schmidt Memorial; it’s on the Elliot Beach in Besant Nagar (Chennai). This is a familiar place to the chennai residents and those who ever seen this emblem in Tamil and other Indian language films and couldn’t been here, but it no need any abandonment to those. This place has been a spot for filmmakers to direct duet songs; fight sequences once, even today some films may took here. 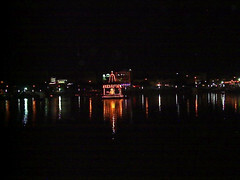 For countless chennai and surrounding lovers this is a romantic place to fondling and romance. But in recent times this emblem once looked gorgeous was un maintained and it looks unpleasant. This is not just an emblem with out any reason to built here, it has a gratitude history. It was on the times of British’s rule in India. 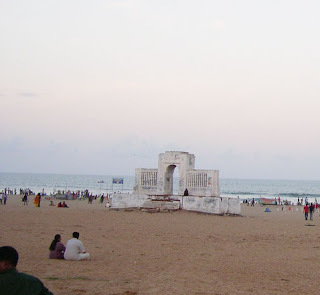 This Elliot Beach in Besant nagar was the place for men and women of the British to swim, take sunbath and enjoy. This Elliot was also a very attractive and entertain place for them. Its early morning on December 30, 1930, one British woman was happily swimming in the sea and many surprised to adoring her beauty from the shore. Suddenly the alleviate of the sea changed, and sea waves were angry and consecutively hissing towards the shore. Whatever the love the sea got with that woman? It pulled her inside the sea. To the extend, those who were singing in bliss and adoring her beauty from the shore couldn’t come forward to help her, thinking that the wave may pull them inside the sea, all where running from that place. Help help the emerging voice from her, haven’t melt anyone’s mind. But on that time a Dutch sailor rushed to the shore hearing her uproar. Without any little anxiety about his life, he swim against the hissing waves and after a hard struggle he save the women, who was immerse in the sea. At the same time he further saved more people from the waves, but the angry waves took that great hero away. The sailor who saved those who were non-connection to him was named Karl Schmidt. Its ungrateful world!! That day non-paid concerned homage to that great hero. 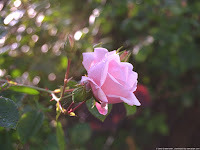 Next day is December 31st the New Year party and celebration was in high in chennai. Every one was singing, dancing and enjoying the night. To this celebration the women who escape from the waves was also present. She dint have any sense (feeling) from her mind about the death of hero who lose his life to save her last day. She was dancing, jumping, laughing and enjoying, that shows nothing has happened. After some time, the governor comes to join in the celebration. Some people introduced this women to him, that she was the person escaped her life and explained the incident. The good mind governor got angry on her, and he also not like to see her face who dint have any sense about the scarified life of the hero. This incident of the hero’s sacrifice to an incoherent woman melted the governor’s mind and he refused the party and gone. That great hero’s memories should be remember always, and the future lineages should always give homage, so with this thought the next day the governor built this circle emblem to doing a home to his brave action and the sacrifice. Is this an emblem of sacrifice? or an emblem of gallantry?………… It’s a gallantry emblem for sacrifice!! Now the stage of this emblem was half destroyed, and looks very unpleasant. Most of them who have visited this Elliot beach don’t know the story behind this emblem. The 76-year-old structure should be saved before it fully destroys. Now a hope has risen by the recent announcement by government to beautify the Beaches, and wish the old relish govt. would rebuild the destroyed parts of the structure. In chennai this is one of the important tourist beach next to marina the world second longest beach. Here the satellite pic of that place. A small tour arranged by university, it’s a happy journey with mates, totally fun filled movement. Sudden force collapses everything, not only the fun, the dreams, and the wishes with their lives. Fury gang of political background, with hard stones and roller sticks. Attempt to close the students with bus; those were belonging to the Indian backbone. Students try to save their lives, except three souls to leave their life. Burning vehicle, screaming sound, crying young’s to save their dears. It’s not a burning matchstick to blow, its powerful fuel bombs. Talents buried by violent gang, human madness game on the girls. Smiles where freeze, to the parents, to see their children as a charcoal log. There were cameras to save the incident, but we have no cameras to save their lives. Why this anger on the innocents, to show their private defiance. Came judgment after 7 wonder years, with an order to take their lives. Higher appeal comes as a honey to the bees, to pull the case for more years. This post is about this. I disagree with the capital punishment, which was not a solution to this incident. The punishment must be severe that must realize the fault they done for those young souls, whom where not related to their anger. Watched the Kadhalar Thinam (Lovers Day) for just few minutes last night. And i should tell this film would be one of my inspirations on Computer. Here I will share my experience of how I introduced to computers. I was touch with computer and lessons from my 3rd STD. Those days, for one year we were just went through reading the books and listening to teacher. After my 4th STD we were allowed to see computers in first time in my life that was black and white. Our teacher takes us to the air-conditioned computer room, which has 3 computers. That time I haven’t think that these machines are going to rule the world. For me going to computer room was enjoyable, not only for the cool temperature, to watch the games miss play on the computer. Miss play bricks joining, a game like prince and shooting. Rarely some students get chance to play, bad luck I couldn’t get one chance. It continues only till my 5th std, in my new school I got first time to touch and operate the computer. They had only one and it too was black and white, and that too was in principal room. Weekly ones we visit the room, they leave us to type in word pad and play games. After few months, they brought 5 new color computers, now we got much time to spent on the computer, leaving 2 or 3 students for one computer. Here we tried our hands on paint, and on exam times they tell us to draw some thing. First time handling the mouse, it’s non-easy to draw some thing, so we use the line option to draw a hut, to surprise hut was easiest one for every one. It continues for 2 years, in that times of recede in my walking hesitate me to visit the room, but with help of my class mates I managed to go and play with the system. Here I should thank my best friend udhyan to be very care about me till I go and come to our class. 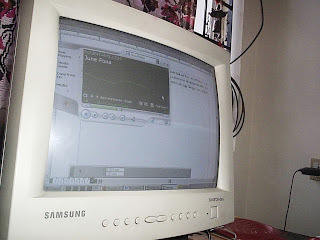 In that time the film Kadhalar dhinam (Valentiens Day) released and the animation videos by computer kids and the chatting via the net brings interest on using computer. Dreams and wishes on the computer was increased, but in a situation to left the school I miss the opportunity to play on the system, but that time I was not more aware about the computer world. In 2000 end while I was talking with my cousin uncle, I said my wish about computer. He was having a DTP center and well know about the computers, he recommend to my dad about the computer and explain its uses. After discussing with uncle and the computer assemble companies we brought a PC, with my little knowledge and with the school experience I started to work on it. Those days i used to play game and paint. After few days we got a master to teach us the basic programs, what the funniest is I have worked in computer for 3 years in school, but I don’t know how to switch off. My cousin uncle gives me idea to learn the DTP related programs, like CorelDraw, Photoshop and PageMaker in need if I can work from home. But the person who teaches me was not too good on it, so I learn very little. Only in 2003 I learn the 3 programs well, with that I am just doing greetings, some graphic work and the PageMaker helps me now to my Desktop works for the Kalakshetra Publication. That’s how I introduced to this big world of Computers. I got chance to watch Thamirabarani (Tamil film) in the pongal release movies at Drive-In Theater. Thamirabarani is a simple story of the enmity between two big families in Tuticorin (A district in Tamil Nadu). As usual the hero and heroine of the both family fell in love and how there love joins the families would be remain. Its Hari film, hari always gives good movies, which would be commercial with all kinds like love, action, sentiments, comedy…. can watch with families. What’s the biggest strength for copper star was the fast and pungent screenplay and the climax, non scene their to make us bore. Vishal with full action hero, this film would be an important in his carrier. His action sequences are brave and energetic. First time in comedy he shows a star position like Rajini and Vijay who does comedy role in their films. Newcomer Banu acts like an experienced actor, her attractive smiles with homely looks are very sweet. She has face looking like Pandavar Bhumi heroine. The state kerala becomes the dream factory for our Tamil fans, to give beautiful heroines. In her recent interview she was very brave to answer for all questions, even sing and dance in small screen, not like other heroine’s who give excuse. I liked the actors choose for the characters, but the feel of deep love (pasam) is missing between brother (prabhu) and sister (rohini), nephew (vishal) and Uncle (prabu). Nasser can only do that role; Nadhiya’s character was described as powerful, but in the screen it’s powerless. In all his films director never forgets to give chance to Aruva (knives), here the Aruva culture is wide stretched and the violence is little more. The comedy by Kanja Karuppu (Muthu) is nice, his struggle with the same name to the dog and him; linking the rivers was good ones. The turning point in the island, and the photo of the Vishal and Banu describing as prostitute by the paper has comes naturally with the story, and expect us to know what’s going to happen. What’s new in the story was the two own brothers of the opposite family were supportive to the Hero’s family and depart from the collision trend. The Nellai Tamil dialogue, which I loved to hear, was very nice in the film. V.T.Vijayan’s picturesque of the Tuticorin and in the songs the camera gives new views. Two songs are nice to watch one was the remix of a popular devotional song with attractive dance was superb and the melodies one Varthai onenu varthai onenu… was poetical. I like the theme of the story that said: in the fights between families, who is winning was not important, but non-should defeat. This concept not only befit families, this can also create a healthy society. Final judgment will give hand? Its not month's or a year problem, it’s century’s complication. Continues of dialogue for above100 years. After going to arbitrator council, we expected for 16 years. Now finally the Judgment for the Cauvery issue has released. Interim judgments of releasing 205 tmc in 1991 for Tamil Nadu, breaks outs a big violence’s in our friendly neighbor state Karnataka. Millions of things lose, and the lose of lives fear us its our neighboring state or an neighbor country. 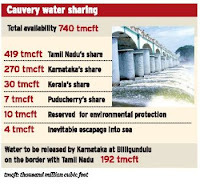 Compare to the interim order, the final judgment of releasing water for Tamil Nadu has reduced as 192 tmc. Now again the problem has climbed the tree, Karnataka expressed great sin on the judgment and said the judgment of the arbitrator council was not acceptable. The farmers of the southern districts of Karnataka involving in agitate and roadblocks to oppose the judgment. Sixteen thousand advocates have conduct fighting before the governor house against the judgment. In this situation the govt has announced a case against the ruling. Now the matter goes serious, the export and import between the two states has totally restrained. Thousands of tankers and buses from Tamil Nadu where banned to enter inside Karnataka; the public were struggling what to do; vehicles convergent on the boarders creates heavy traffic jams. All politicians in Tamil Nadu express different statements about the order. We had waited and still waiting for the permanent solution for this problem. Now the order has comes practice for us, before any other steps taken by the Karnataka to stop the order, the central government should take a good conclude for the millions of farmers who live with the hope of the Cauvery River. The politicians of Tamil Nadu should leave accusing each other’s and join hands to urge the center to bring the judgment into force as soon as possible. We are asking our rights peacefully, the water is equal for all. We couldn’t live happily by seeing our neighboring state friends in the drought, so we are not against the farmers in Karnataka. As the same time we also need the water to live, already our farmers are sin; the nature is testing them by drought and floods every year. We always tell that we are all Indian; we have consensus… really are we? When there was no consensus and peace between states (in cauvery issue) then how are we going to move friendly with our neighbor countries and their problems? We, (people of Tamil Nadu) request the Karnataka not to make the peoples problem as a political stunt. When our rights were stopped, it makes the situation worst. We need justice for our 16 years of anticipation. Immigrant customs and traditions have been integrated into many aspects of Bird’s Wedding German culture. A significant example of this is the Sorbian tradition of the Bird's Wedding. This wedding ceremony celebrates the coming spring and the birds' thankfulness the children for feeding them throughout the winter. The night before the ceremony, children set out their plates on their windowsill in hopes of birds bringing them sweets or presents. Held annually on January 25th, the children in elementary schools and kindergartens dress up as various birds with one girl specially dressed as the magpie bride and a boy as the raven bridegroom. And the saucers? Each one will have a magpie-shaped pastry with dancing, singing, and celebration follows. A statuette, translated as a school cone, is give to children in Germany as they set off for their first day of school. These large decorated cardboard cones are usually given by parents or grandparents and filled with sweets, school supplies, and toys. Above is such a sweet and cute pic form the celebration; u can see Fiance Axel kisses his bride Lea during the birds wedding at a kindergarten in Cottbus, eastern Germany. 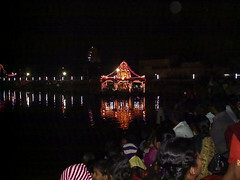 Late evening mom went to the Theppam Festival in Mylapore Kapaleeshwar Temple Tank, which was conducted on the abut of Thaipusam. This year and last year was this Theppam festival was celebrated grand, compare to few years when the Mylapore tank faces drought. Above pics shows the Theppam floating on the Tank. The Root canal treatment couldn’t give hand for the infection, so yesterday went on a small surgery in the tooth and gums. It was the pain I haven’t experienced in the last few years. Smiling and laughing makes all happy, but in my case, now, if smile, i feel pain. I can’t be without smiling for more times, I struggle to control it now. I thought they will close the root and leave, but the infection makes to cut the tissue and stitches. I think it may take few days to go back to normal, even talking, reading and eating makes difficult. Hum… the weeklong toothache was better now after undergoing the root canal treatment. Thought it must be a normal pain will go in a day. But I guessed it right that must be a reflex of that 11 years incident. One evening my brother and me was riding cycle in out next street, we were going doubles by sharing that single seat of the cycle. We were turning that turn, suddenly a car comes before us, and the place was very slide so left balance and both fell down. I was sitting in front, so my front tooth got hurt and the whole tooth comes out of the gum. I was very feared how to show my teeth to the mom, but I got good scold from her that day and arrived to the near dentist. My eyes were wet in the pain fear. It was half an hour waited for the dentist and I was in fear that time was going, can they fix my tooth. They inject my gum and tied the tooth with steel wire. I couldn’t forget the pain so easily, when ever I get any symptoms on the tooth’s, I remember that pain. After two three X-rays, a deep breath that it has setup. But that time the dentist forget to do this root canal, so some damage has take place in the root of the tooth and it affect were touched with its side tooth. Last evening I visit dentist and did root canal, they have drilled my both tooth and inject medicine and will again visit in two days to know further treatment.